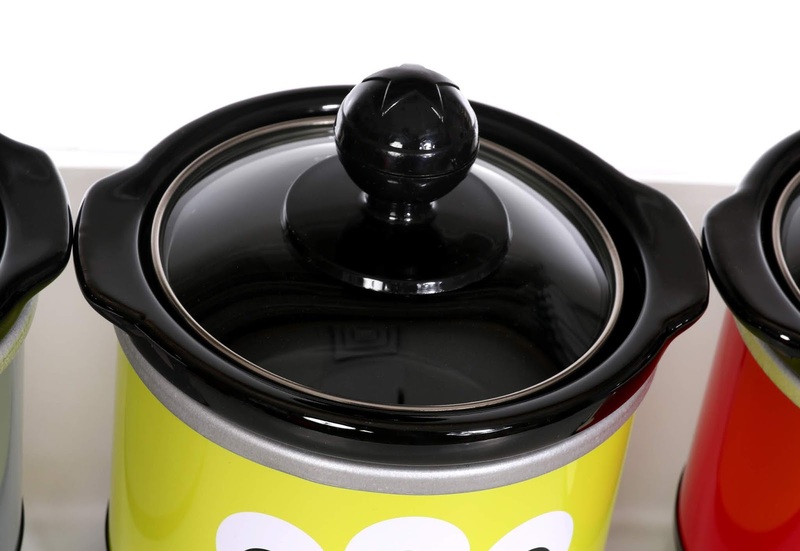 Just over two years ago, I reviewed the epic Pixar inspired 7 quart oval slow cooker (seen HERE)—which is still one of my favorite practicable Pixar items to date and something we use often in our kitchen. 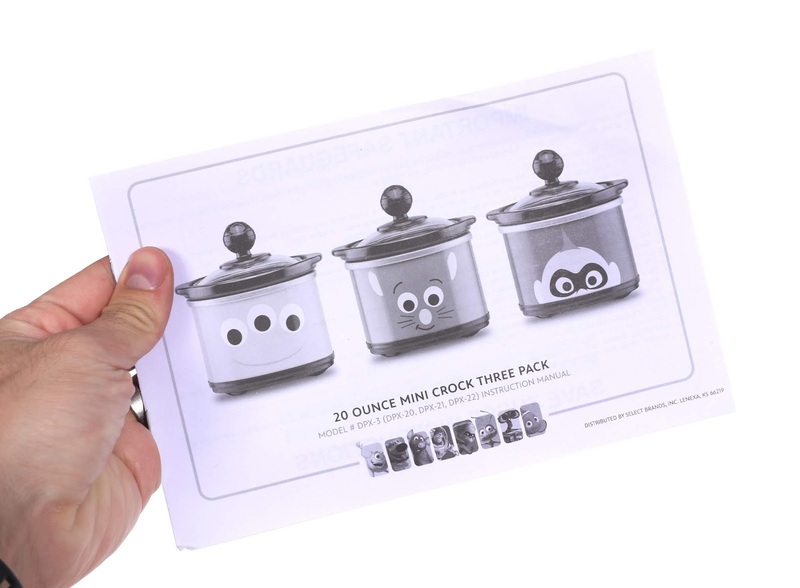 Now as if the slow cooker wasn't already enough, you know I also had to get this set of three corresponding 20 ounce mini crocks (or "dippers") featuring a Toy Story Alien, Remy from Ratatouille and Jack-Jack from The Incredibles! I've loved the signature stylized character graphics used in this collection since the designs first debuted on products back at the 2015 D23 Expo. Though this set was released early this year, I didn't receive it until my birthday in May. So yes, this review has been a long time coming, but luckily it's something that's still available. 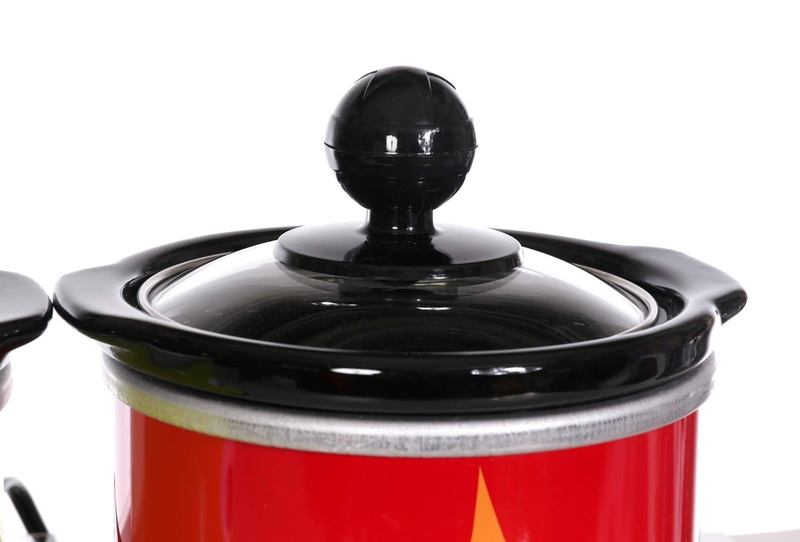 These mini crock pots are the perfect size for appetizers such as dips, tiny meatballs or even chocolate/cheese fondue. 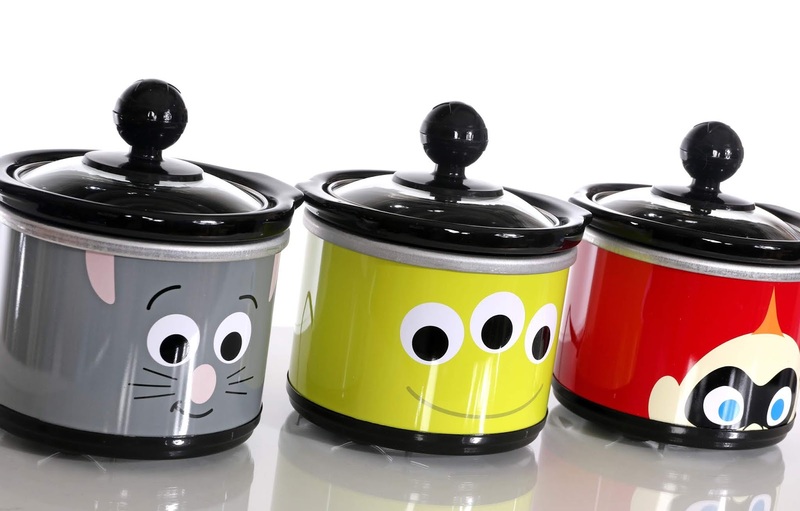 If you're throwing any kind of Disney/Pixar themed party (you know what I'm about to say), then these are a must have! And for only $32.95, the price is certainly right. Here they are unboxed! They sure look extra great in person and the quality/sturdiness of these is something you'll notice right away. Love the vibrant colors too! 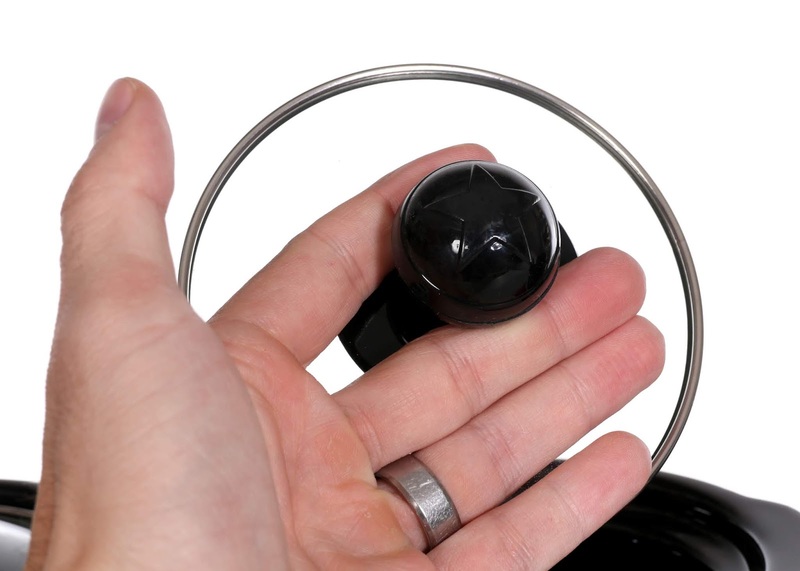 And just like with the Pixar Slow Cooker, the best part with these is the Luxo/Toy Story ball handle! That's just the perfect detail for us Pixar mega fans. Super slick looking. You won't want to miss out on these. 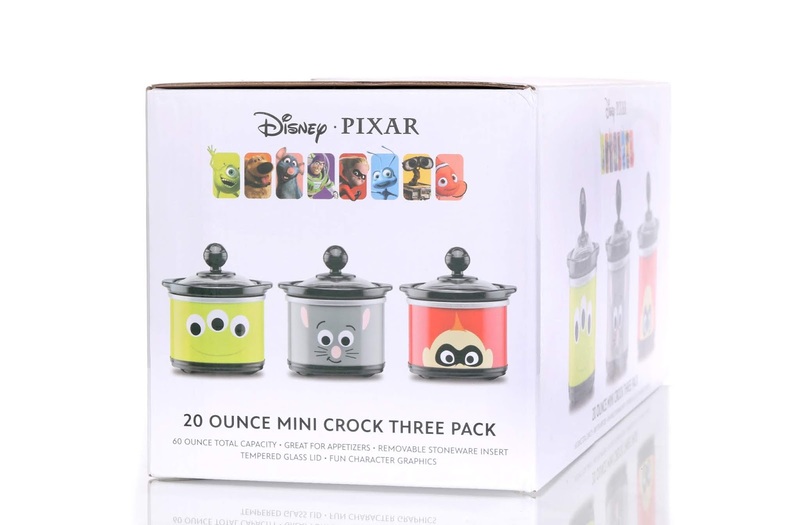 If you're interested in adding this set to your collection (and/or your Disney Pixar themed kitchen), visit THIS DIRECT Link to ShopDisney. 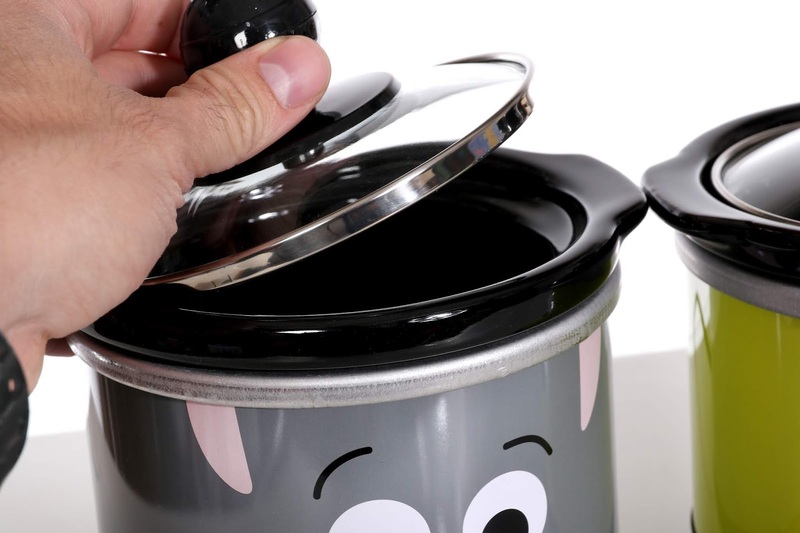 The 7 quart slow cooker is also still available HERE and there is one last component to this collection that I've yet to snag...the Pixar Popcorn Popper! Check that out if you haven't seen it already. 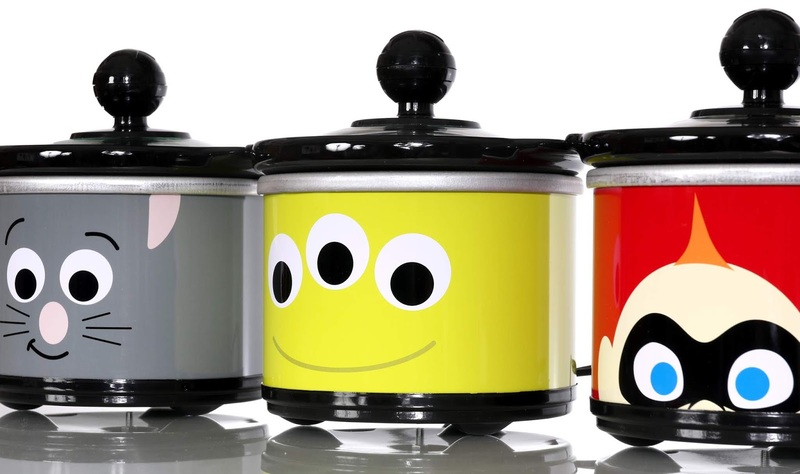 Let me know your thoughts on this Pixar Collection kitchen assortment down in the comments and make sure you're following along right here for daily updates!